The Cabinet has agreed that members of the Independent Alliance will have a free vote on a bill by Independents4Change TD Mick Wallace to allow terminations in cases of fatal foetal abnormalities. Speaking in the Dáil, Taoiseach Enda Kenny said his party does not have a majority and he could not act as if it had one. Last week, ministers failed to reach agreement on the request by the Independent Alliance to seek a free vote on the matter, and today they formally agreed to the move. Ministers also "noted" the advice of the Chief Medical Officer and the Attorney General, who previously advised that Mr Wallace's bill is likely to be found unconstitutional. Minister for Social Protection Leo Varadkar earlier said Fine Gael members will vote against the bill on the advice of the Attorney General and also because a Citizens' Assembly is being set up to examine the Eighth Amendment. Cabinet also noted that there would be a free vote after the Assembly presented its report to the Oireachtas. Ministers agreed to restate their support for that body whose establishment has now been brought forward to October. The Attorney General did not proffer further comments today. A rift began two weeks ago when Minister of State John Halligan announced that the Alliance was seeking a free vote on the issue. At last week's Cabinet meeting the matter was adjourned without agreement but yesterday there were two key developments to break the impasse. 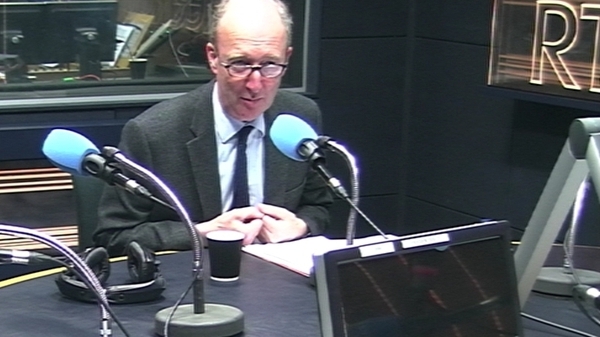 Minister for Transport, Tourism and Sport Shane Ross said he, along with Minister of State with special responsibility for Disabilities Finian McGrath and Mr Halligan, would vote for the bill, going against Attorney General Máire Whelan's advice and also the medical advice quoted in the Dáil of Chief Medical Officer Dr Tony Holohan. Mr Varadkar said he had not come across a junior health minister ignoring the advice of the Chief Medical Officer, but it may have happened in the past. He said the bill will do nothing for women as the legislation can never become law. He said it would not cause a political crisis as the Government remains stable. Mr Varadkar said the important thing was that the Government deals with the issue and the Citizens’ Assembly will make recommendations within months and progress could be made on it next year. Labour leader Brendan Howlin has said Enda Kenny's authority is being undermined with the spectacle of the Taoiseach being faced down by his own Cabinet ministers over Mr Wallace's bill. He said ministers are saying the Attorney General's advice is legal opinion but Mr Howlin disagreed saying the constitution says that the Attorney General is the legal advisor to the Government. He asked Mr Kenny, "What do you intend to do assert the rule of law and the primacy of the constitution?" 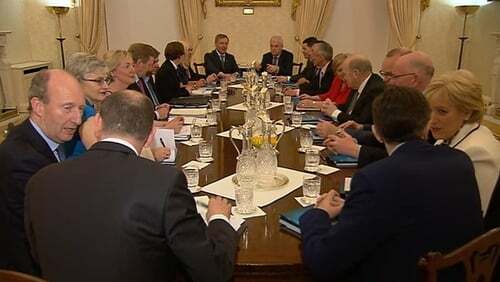 The Taoiseach said the Government is a partnership and his party does not have a majority and cannot act as if it has. Mr Kenny said medical professionals have said Mr Wallace's bill "is a bad bill for women" and he could not vote for that bill in conscience as that was the case. He said after the Citizens' Assembly deals with the issue of abortion then TDs will be given a free vote on the matter but not now on a Private Members' Bill that is unconstitutional. He said he is not in a position to dictate to others who are not members of his party. He said that those who sit at the Cabinet table have a responsibility in terms of collective Cabinet responsibility. Mr Howlin said the Constitution's Article 30 says the Attorney General shall be the legal advisor to the Government. Mr Kenny said he agrees and he accepts the Attorney General is the legal advisor to the Government and he accepts the advice of the Attorney General. Meanwhile, a lecturer in Constitutional Law at University College Cork has said it is "quite extraordinary" that a minister would vote against the advice of the Attorney General. Dr Seán Ó Conaill said the decision by ministers Ross, Halligan and McGrath to vote in favour of legislation being proposed by Mr Wallace would seriously undermine the Attorney General's position. Dr Ó Conaill said that under Irish law there has to be respect given to the life of the unborn and, as the law currently stands, the only time that can be trumped is if there is a threat to the mother's life. He said it would be his strong opinion that the only way to provide for terminations in the cases of fatal foetal abnormalities, that would accord with the Constitution, would be to repeal the Eighth Amendment.